The business owner was presented with an Individual Excellence Award after more than 25 years leading and mentoring local and international multicultural communities. Mr Mani said he was elated with the win and to be recognised for his voluntary work, among other ‘tremendous’ and deserving multicultural workers. Growing up in Suva in Fiji, he joined the Fijian Army and served in places including Lebanon, Israel and Egypt with the United Nations before moving to Australia in 1985. ‘I left for a brighter future. At the time the options in Fiji were limited,’ Mr Mani said. Mr Mani, who is also vice-president of the WA Fiji Association, said people had to apply themselves, work hard and they would get where they wanted. Knowing this and doing that himself, Mr Mani has dedicated his life to helping multicultural people in any way he could to get where they wanted to be. ‘I have leadership skills and the knowledge in dealing with people so I want to give something back,’ he said. ‘Because of my background I can understand and relate to migrants. The Rotary Club of Ballajura-Malaga member has worked closely with Aboriginal, Fijian, Muslim and Australian-African communities with the premise that diverse cultural communities can co-exist without discrimination or racism. 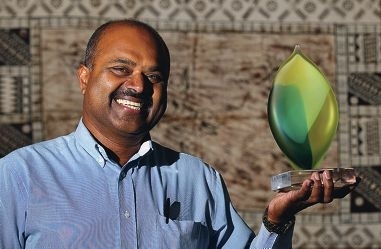 Mr Mani also founded the Mani Loloma Foundation in Fiji which helps educate and support the underprivileged.